although Jeb Bush has little chance or being elected POTUS he is and has been in front line American politics for many years. Clearly the fact that America is the largest trading block in the world they would not seek deliberately to contravene the WTO & UN global agreements on international trade and when these United Kingdoms, whether with or without Scotland, Leave-The-EU America would obviously negotiate trade agreements with the 5th. largest trading nation, including numerous FREE_TRADE agreements. Whether Scotland is a part of team UK or has opted for direct rule and a life on EU subsidies will make little difference to the remaining British block in trade terms as Scotland’s economy though small now will be even smaller when in competition with Britain bereft of subsidies and responsible for its NHS, highways and benefits bills and an ever mounting burden of parasitic politicians and the many civil servants it will have to fund to replace work currently done for them across the border! There will of course be those who have not thought through the issues and will mouth the mantras of the anti British propaganda such as the largely unheard of US Trade Representative Michael Froman and others seeking to peddle FUD to hinder Britain’s moves to eventual independent sovereign nation status, once more as a self governing democracy negotiating its own trade agreements founded on international law, the Commonwealth, The Anglosphere, EFTA and the EEA bound by The UN, WTO, WHO, Codex, IMF etc. ‘Great Britain is a sovereign nation, and they must make this decision about their relationship with Europe on their own. The U.S. should not be putting a thumb on the scale and certainly shouldn’t bully an ally. That said, as President, if Great Britain made that decision of course the U.S. would work with them on a trade agreement’. 1.) Gov. Bush, your economic plan calls for 4% compound annual growth. We understand that arithmetically this pulls the country out of the doldrums and starts us on a road to recovery. But exactly HOW do you propose to do it–what are your key building blocks to actually achieve this? In order to achieve real, sustained 4% economic growth, we need to fix a few big things as a country: how we tax, how we spend, how we regulate, embracing the energy revolution in our midst, and repealing and replacing Obamacare. 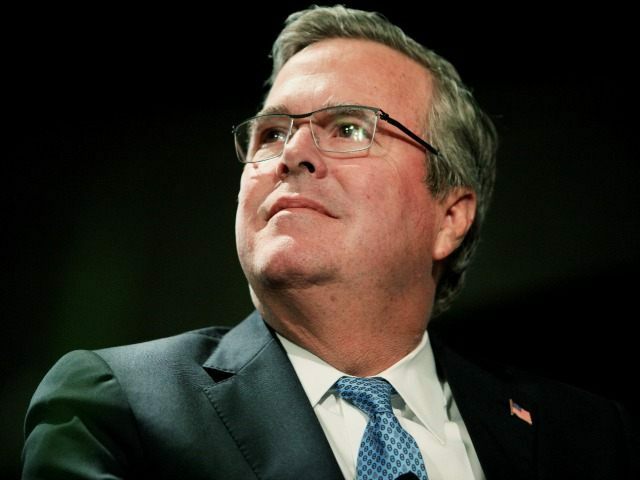 I have laid out detailed, sweeping, and specific plans on each of these issues that you can read at Jeb2016.com. The central premise is getting Washington D.C. off the backs of job creators and putting more money in the hands of working Americans and less in the hands of crony capitalists. That means lower taxes across the board, eliminating special deals, a balanced budget amendment, cutting down the federal workforce, and repealing and reforming the Obama administration’s tidal wave of regulations drowning our economy. We also need to invest in American energy, which will create more high-wage jobs and lower energy prices for American families. 2.) You pride yourself, quite rightly, in being a pragmatic conservative in action–so much so that your nickname during your time as governor was “Veto Corleone.” What are some of the bills you would have vetoed during President Obama’s term? Would you have vetoed last week’s budget bill? It’s hard to pick where to start! I certainly would have vetoed the trillion-dollar “stimulus” spending bill, Obamacare, Dodd-Frank, and the countless bloated spending bills that have become a normal part of the Obama/Clinton agenda. As for the budget agreement, it was only necessary because of President Obama’s utter failure to lead on taxes, spending, and entitlements. Only in Washington does every budget “deal” lead to more spending. I have laid out a detailed, specific agenda to break Washington’s gridlock and address the big problems our country faces–which will make such last-minute, deadline-driven “deals” unnecessary. 3.) This week, U.S. Trade Representative Michael Froman said the UK could not count on a bi-lateral trade deal with America if her people voted to leave the EU. This is sending a chilling warning to the “British Exit” camp. Do you support this effort by President Obama and would you as President enter into a bi-lateral trade deal with a United Kingdom that left the EU? The United States needs a strong Europe, and we have a special relationship and historic bond with Great Britain. As I’ve stressed in my conversations with British and European leaders, in light of growing dangers from Russia in the East and terrorism from North Africa and the Middle East, I believe a strong Trans-Atlantic alliance is as important as ever for U.S. national security. Great Britain is a sovereign nation, and they must make this decision about their relationship with Europe on their own. The U.S. should not be putting a thumb on the scale and certainly shouldn’t bully an ally. That said, as President, if Great Britain made that decision of course the U.S. would work with them on a trade agreement.